The city of Korydallos is located at the southwest of Attica basin considered an urban suburb of the metropolitan area of Athens – and very closed to the central port of Piraeus. Korydallos’ ancient history is related to Clisthenes’ political reformation of ancient classical Athens at 508 B.C. while was one of the 100 municipalities of Attica. Through different crucial historical spots such as 1922 Minor Asia Catastrophe ( a great number of refugees were settled to the extend area), 1946’ recognition as Municipality (14.360 residents), 1950’s new wave of population “inside migration” after Civil War (31.199 residents), 1960’s the construction of the largest state prison in the country, Korydallos became gradually a contemporary city which population is estimated to 70.000 inhabitants (according to the national census of 2011 is 63.445 people). The administrative limits of the city are 5,41 km2, of which 2,94 km2 constitute the residential area which is organized into 10 Planning Units, heterogeneous both in size and population. The key issue regarding the demographic trends of the area, associated with the rapid increase in the aged groups of population, reflecting the wider problem of low birthrate and aging population. 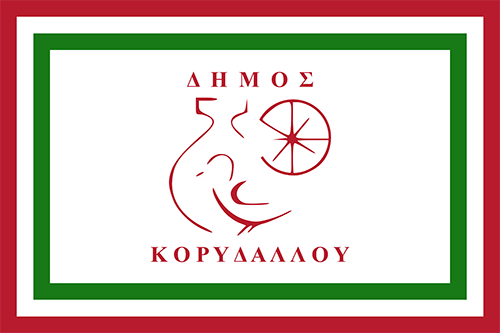 Municipality of Korydallos constitutes a local authority which deal with a wide range of activities spreading in the fields of development, administration, social cohesion, participation and environmental protection. Having at first priority targets related to sustainable development in the city attributes equal significance to all three dimensions, that is, social cohesion, environment and economical growth as well. Municipality of Korydallos aspires to become a city that can offer qualitative living conditions to citizens, seeking at the same time for being established as a city of knowledge and innovation that can provide the appropriate conditions for attracting innovative enterprises. Regarding the socio-economic situation in the city, the employment model that prevails is that of employment work. Unfortunately the unemployment is a serious problem, during the last decade and especially during the ongoing economical crisis (it is estimated about 22%). The economic sector that experiences the most of the suppression is the manufacturing sector of SMEs. An important element in local economic activity is the tertiarisation of business. The 75.14% of local companies ranked in the tertiary sector of production, and 22.18% of companies in secondary. Regarding employment, in contrast to previous decades, high concentration recorded in tertiary production sector which reaches 83% of employees, while employment in the secondary sector has continued decline over time with rates of around 16.5%. Activities with particular growth within the limits of the city, are those of leisure and commerce. Municipality’s of Korydallos strategy is focused on the participation in European projects (URBACT; Europe for Citizens; Erasmus +, etc), networks (“Cities and cinemas of Europe”, “Europa Cinemas”, “Eurokids”, “Youth and Cinema”) and campaigns. Services Training grants. MECB also provides various professional technical support services related to a range of fields including, Eco Innovation, Virtual/Augmented Reality, Design, innovation and product development, CAD, innovation management techniques (IMT), quality, environmental, lean manufacturing and eco-innovation clinics. Furthermore, MECB has a team of staff members experienced in EU projects including KA2 Strategic Partnerships, Leonardo, Grundtvig, FP6/7 & EU Asia-Link. Drosostalida is a social enterprise aiming to provide training, support, counselling and research activities to diverse groups of people. 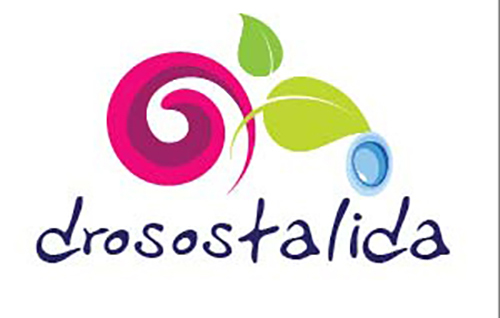 Drosostalida works with youth and individuals belonging to vulnerable groups, supporting them on multiple levels to facilitate their integration or re-integration into society or world of work, adults in need of upgrading skills or learning new ones, as well as providing generic training to any interested party. The greatest asset of Drosostalida is its human factor. More specifically, it is supported by an ambitious team of 5 experts with first priority the advancement of independent living for people of vulnerable groups, education/learning and support of employability, social support and familiarisation with ICT. 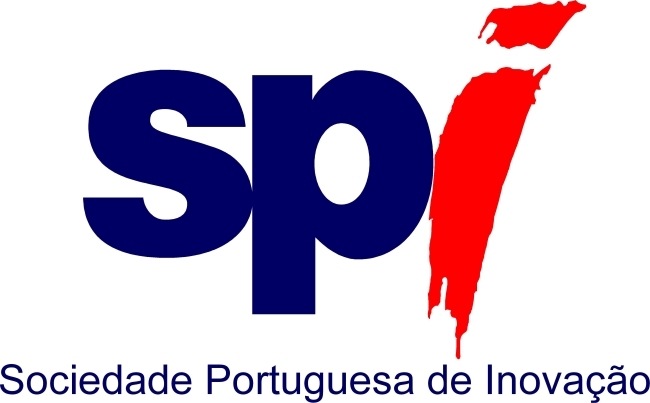 Sociedade Portuguesa de Inovação – Consultadoria Empresarial e Fomento da Inovação, S.A. (SPI) is a knowledge-management consultancy focusing in areas such as Innovation, Science and Technology. Both nationally and internationally, SPI provides a dynamic range of innovative activities and services to public and private clients and has been actively involved in projects funded by international development agencies such as the European Commission, World Bank, Inter-American Development Bank and the United Nations. It positions itself as unique catalyst for connections among companies, scientific and technological institutions, public administrations, and public and private national and international organizations. SPI was founded in Porto in 1997 and since then has undergone steady growth, with the opening of new offices, not only in Portugal, but also abroad. Currently, SPI has offices in Lisbon, Coimbra, Évora, Azores, United States of America, Spain and China. SPI also has an affiliated office in Brussels, Belgium through the European Business & Innovation Centre Network (EBN). SPI’s dynamic perspective enables it to intervene at a global level and continually increase its network of contacts especially in the field of Science, Technology and Innovation (STI), providing quality consulting services to its clients and partners. Media Creativa – MC2020 is the result of over 20 years of experience, challenges and lessons learned from an interdisciplinary group of professionals who share a common passion: educational innovation. The quality of our work is based on a ground knowledge of the reality, and the listening of our final users’ needs. We develop studies, analyze training needs, design and offer courses through our campus (campus-creativa.com), and organize workshops and conferences, fleeing a generic offer and always under the flag of customization, mainly addressed for c-VET and adult learners. During last year More than 900 students were trained on the e-learning and b-learning delivered courses, comprising over 1200 hours of specialised training. – Professional development focused on transversal skills and topics, such as Coaching and Mentoring, Diversity Management, Intercultural Communication, Digital Competences, Emotional Intelligence, etc. – Education innovation for trainers, teachers, youth professionals, and other education staff, including topics such as Game-based learning, Storytelling, Flipped classroom, Audiovisual education. – Projects and management, supporting professionals to design, manage and evaluate their projects at the national and international level. The city of Gijón is located in Northern Spain, in the Principality of Asturias Region. The population of Gijón is close to 275000 people and 380000 for the total agglomeration, being the most populated and the most industrial city of Asturias. It covers a surface of 181.7 square km and is located in the central area of the coastline; its maximum height above sea level is 672 m. The urban area of the city spreads over 27 km2 and concentrates 93 % of the total inhabitants, yielding in a very high density. During the decade of the 1960s and 1970s the city grew due to the development of the steel and shipbuilding industries and coal mining. The economic activity of its port was and still is one of the drivers of the city. Gijón has suffered a deep industrial regeneration where the current economic sectors of the city are ICT; services; tourism; the cultural and creative sector; blue economy; and circular economy. Gijón City Council has a European strategy reflected in the participation in European projects, networks and campaigns. Moreover is a full member of EUROCITIES, the network of major European cities, and a founding member of the Conference of Atlantic Arc Cities. The Council staff has a strong experience in the management of European projects in different programmes (INTERREG; URBACT; Intelligent Energy Europe, Erasmus +, etc). Gijón’s environmental commitment is reflected in the adhesion to the Covenant of Mayors and the elaboration of SEAP. Gijón has recently approved its Integrated and Sustainable Development Urban Strategy where we can see as one of the main axes is the environment (air quality; noise; mobility; etc). The Universitat per a Majors (in English, Senior Citizens’ University) is a range of studies created by Jaume I University for those people who are older than 55 and are willing to continue their studies and widen their general knowledge. By means of this university programme, the University wants to contribute to the improvement of the human abilities in the field of adults not only by giving them academic training but also by enabling their integration and their social development. That is why they are provided with reflection and freedom spaces which make possible the exchange of knowledge and experiences. In our society, characterised by its dynamism and its capacity for changing continuously, education and learning during life are necessary if you want to understand what is happening nowadays. They have become a chance to participate in a responsible way in the historical and social context we are living in. The university education for adults does not aim to train students to become professionals. The main goal is to encourage the personal development of the students and contribute to the cultural development of our society. In the Universitat per a Majors two important branches can be distinguished: teaching and research. The quality of our teachers is the base for programming the studies of “University Senior Graduate”. Research is promoted and developed by means of projects, publications, conferences and university exchanges, at national and international level.